Ruben Felix, Head Coach for Team Felix, strives to help young student athletes and a university succeed at a high level. Ruben has coached at every level of baseball that includes: Major League Baseball, Minor League Baseball, Team USA Baseball, Collegiate Baseball and High School Baseball. With all of these experiences, he is an elite coach that can help any player succeed at a championship caliber. 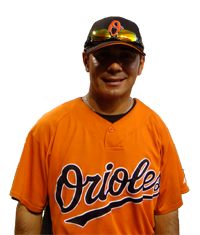 Ruben coached for Team USA in the World Baseball Classic and for the 2008 16u National Team.